Summer Holiday Activities: Activities available to view and book online now! School holidays are fast approaching, which means it’s time to start planning some fun activities for the family. Our Schools Out catalogue is now available to view and we’ve got an exciting range of activities available in 2018. From swimming lessons to Bookbug, mountain biking to crafting challenge days – you’ll find a host of half day to week long activities on offer to exercise, inspire and entertain. 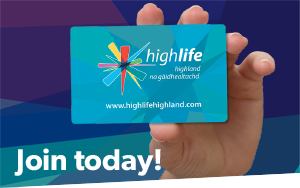 To access the Summer Programme Booking System, you will need a High Life card for each and every person you wish to book on. These cards need to have been issued by one of our leisure centres (or activated at a leisure site if issued initially as a library card only). You will be charged one of three prices by the booking system: All Inclusive (Individual or Family Direct Debit), Budget or Pay As You Go. To login, you will need the Member ID number from the High Life card and the 4 digit PIN. If you do not know the PIN, please use the High Life Member PIN Recovery Tool or or contact your local High Life Highland leisure centre for further assistance.